I really like it on you – do wear it! It is kinda sixties-shell-top-ish, especially with skinny trousers. It’s amazingly timeless, isn’t it? 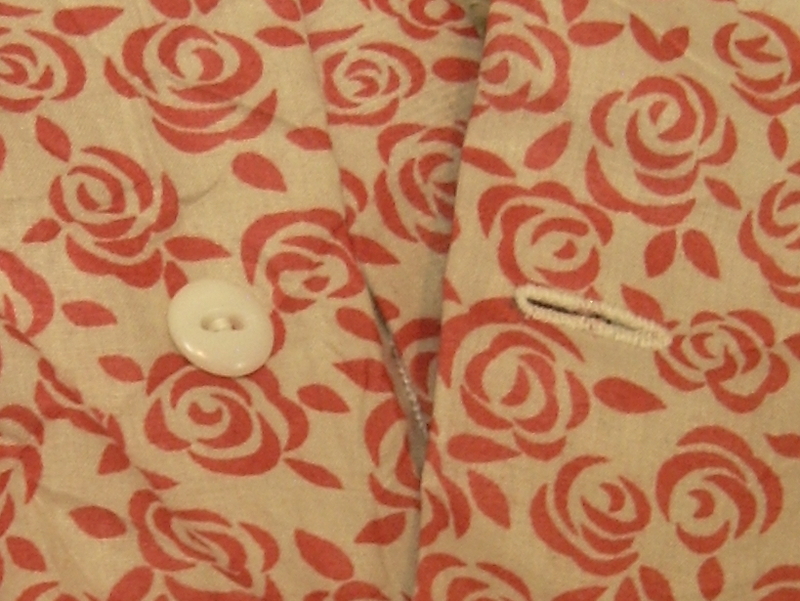 I thought fifties when I bought it, but Vintage Pattern Wiki puts it at 40s, and loose as a shell it definitely has a 60s vibe… oh, and I have an 80s Vogue wardrobe pattern with the exact same blouse, too. Too sweet- I love a classic design that works with every style. Love the fabric. I see it with a long, airy white skirt in summertime. 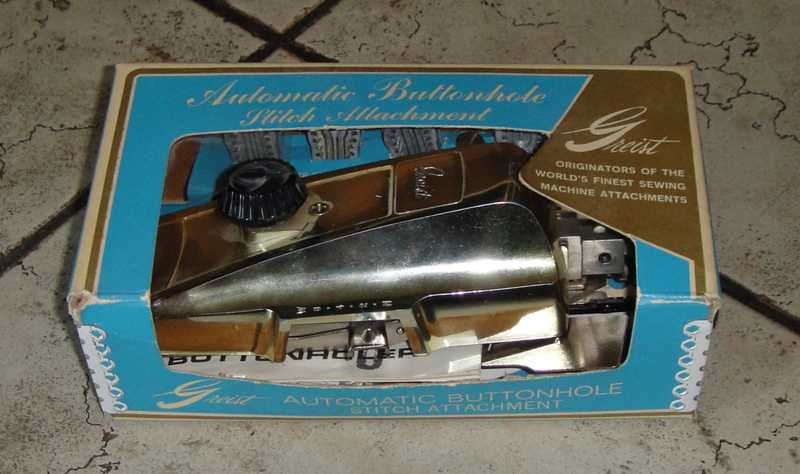 Love the keyhole. It looks great with your shrug, too. Did you include the tucks? I’m pretty sure that would’ve sunk it for me (even if the sizing would’ve worked). But the high neck isn’t great for everyone either. For me, it was the neckline that killed it. I made the keyhole version and it felt like it was strangling me. I didn’t love how it made my shoulders look like a football player either….but oh man did my waist look nice! Two words. Magic closet. It is cute, if it isn’t too uncomfortable, I am sure you will wear it. Great tip about the facing, as I haven’t even finished coffee yet and it is only 5:30 am, it took me many mental gyrations to get my head around this. Truly brilliant. How did I ever miss this? Thanks for the link. Sweet, sweet blouse/top/shirt! No, the sewing gods won’t curse you for being off grain. Those girls are very lenient, and would even have forgiven you for piecing your yardage to make the pattern pieces fit, or for cutting on the cross grain. 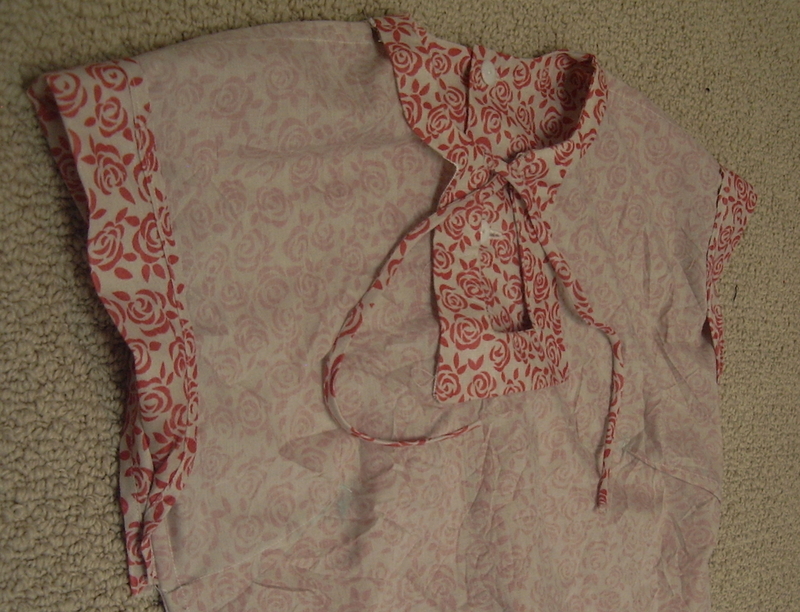 The “facing the facing” edge finishing technique was standard in printed patterns from McCall’s and Simplicity in the 1980s (and probably for Butterick and Vogue, too, but I wasn’t their customer then). It is a tidy way to finish those pesky edges, in lightweight fabrics. Not so much for heavier materials … trust me. Interesting to know—here I didn’t think they’d changed their techniques at all in the last thirty years ;). It’s super cute and I love the print and tie closure in front. This looks like it could be a great blouse for Spring with that sweet fabric. well done! I think its cute! and there is that shrug :O), I got as prting the pattern taping it together and as tracing off my pattern … have to get back to it! I want it to wear over those shirred tops! Which is just about warm enough here to wear again! Well I also love it too – the colour really suits you & it’s pretty but not in any too girly kind of way. I hadn’t heard of that interfacing/ sewing tip so thanks for that – will give that a go as long as my memory kicks in at the right time! Looks great with lots of outfits so hopefully you’ll grow to feel it more & more! Yeah, remembering at the right moment is always the trick, isn’t it? I’m hoping it keeps growing on me… I’m really bored of my winter long-sleeve-tee + jeans uniform right now. Looks awesome! Definitely Sencha’s must better fitted cousin. super cute, I’m really into it on you and I love all the poses! I just tried on the Sencha muslin I made when I was pregnant and it’s HUGE… maybe I just need to go super-small like you did here instead of following my measurements. I think it looks great, its pretty, elegant and actually wearable. otherwise known as WIN. This is really pretty on you! 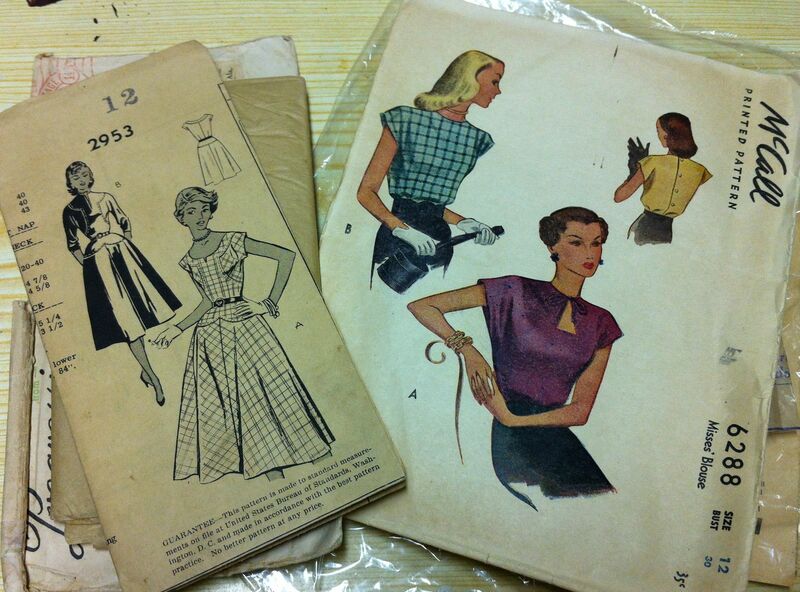 I had the same issue with the neckline being too high on a similar little vintage Simplicity pattern – not sure if people were supposed to have very skinny necks (I didn’t know mine was particularly big) or if the tops were fitted to the neck. 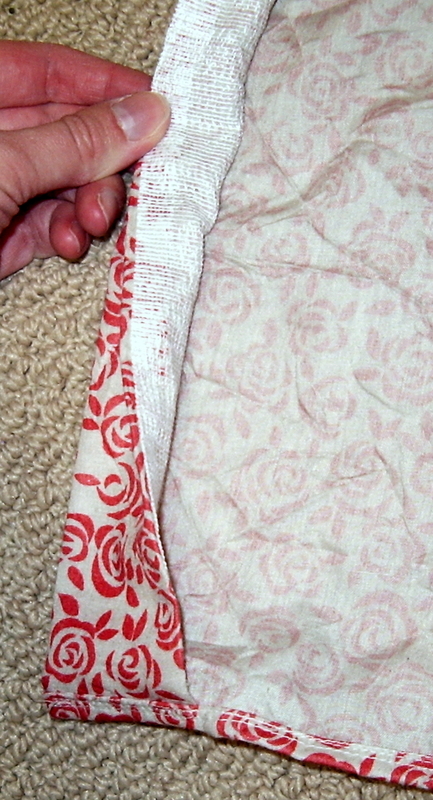 Thanks for the reminder about that fusible interfacing trick – I’d completely forgotten! Yeah, I’m a bit perplexed by the neck, too—I’m pretty sure mine isn’t oversized (even by WWII standards…). Maybe they figured it was easier for people to lower a high neckline than raise a low neckline? I think it’s lovely- and you created such awesome outfits too. I’m just all admiration for you this morning. This is dead cute and I really like the style shots. 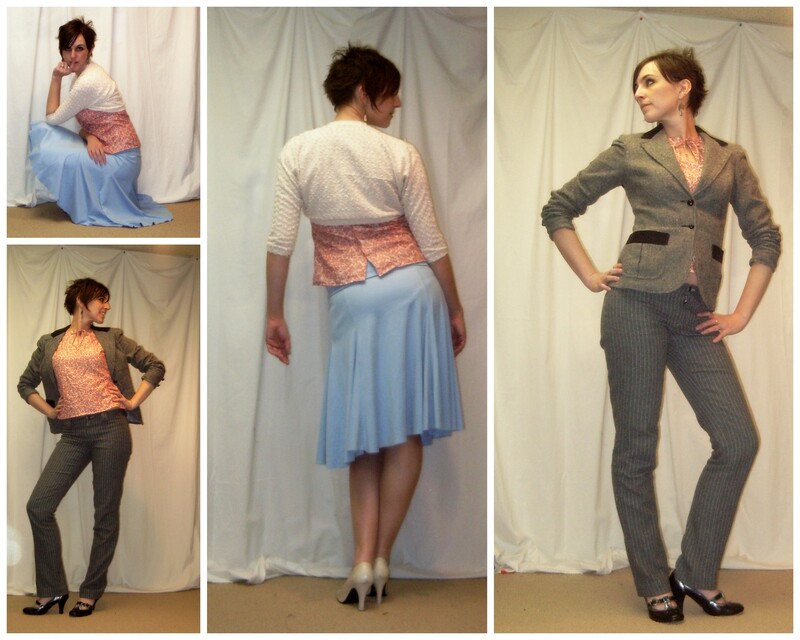 Agree about the shrug combo – its my fave too. Very pretty! I love it with the white capris and with the suit!